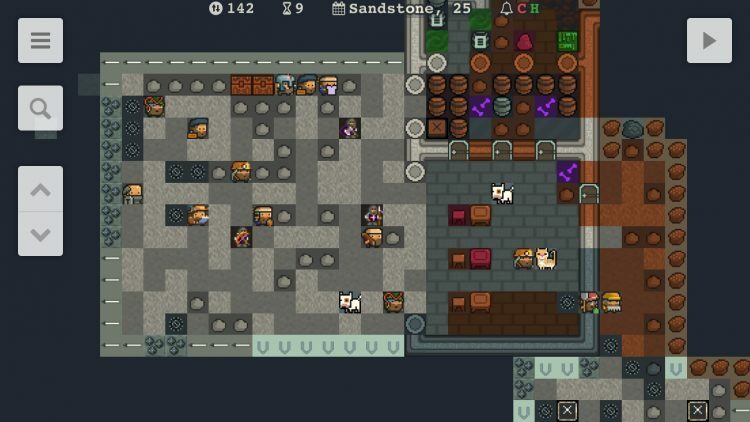 I’m happy to announce that Dwarf Fortress Remote 1.30 is available on the App Store. Main new feature of this version is support for creature graphics. Default Spacefox tileset and tileset packages available from mifki.com/df/extras have been updated to include matching creature graphics sets. Reconnection to games will now be faster, however initial connection may be slower due to creature graphics processing. When designating, cancel button will now return to the first corner selection instead of cancelling the designation mode completely. This can be reverted to the old behaviour in System Settings. Also, long pressing cancel button will cancel designation straight away. Fixed a crash when filtering unit list with flashing (having legendary skill level) units on screen achat de viagra en pharmacie. Fixed some names flashing to black instead of light gray.